Therma-Tru’s new vented sidelites available for the Fiber-Classic Oak Collection and Smooth-Star product lines allow homeowners let fresh air into their homes without needing storm doors or sliding screens. The vented sidelites are comprised of either a single-hinged door and two-hinged sidelites, or a two-hinged French door and two-hinged sidelites. One HousingZone editor said Therma-Tru says vented sidelites are the fastest-growing category in hinged patio and entry doors, and that they’re a great way to increase ventilation without impacting energy efficiency. 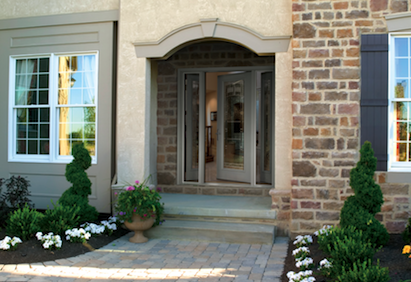 Learn more about Therma-Tru doors on national-lumber.com! Thanks to HousingZone.com for their review of these vented sidelites!